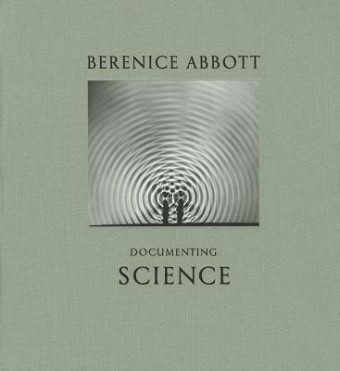 Fascination with the scientific advances that were rapidly changing the world motivated Berenice Abbott to use photography as “the friendly interpreter of science”. Documenting Science explores this work, beginning in 1939 with Abbott’s early experiments with scientific imagery, continuing with science-based commercial work assignments, and culminating in 1958 with the Physical Science Study Project at MIT which illustrated a new series of physics textbooks. This spectacular body of work is arguably Abbott’s most innovative and creative. Both beautiful and instructive, these images often illustrate some basic scientific principle. They are a marriage of science and art, and have fundamentally changed the way thousands of students visualize complex principles of physics. Berenice Abbott, born in Springfield, Ohio in 1898, was a dominant figure in twentieth-century American photography. Abbott moved to Paris from New York in 1921, and in 1923, after many false starts, was hired by her friend Man Ray. He was looking for an assistant who knew nothing about photography whom he could teach. Abbott learned quickly and within a year was taking her own photographs. Her first solo exhibition in 1926 was a success, and for the next 65 years Abbott mastered a wide range of subjects. Highlights of Abbott’s career include the monumental project Changing New York (1935-1938), photographing rural America including US Route 1 from Maine to Florida, photographically interpreting scientific and natural phenomena, establishing the reputation of Eugène Atget, and founding the first university photography program in the United States. Steidl published the two-volume retrospective Berenice Abbott in 2008.